We are a locally-owned leader in providing warehouse storage solutions to Atlantic Canada. With the correct design and installation, you can increase storage space exponentially. Our work has also earned security clearance certification from the RCMP. Personal relationships, honesty and fanatical customer service are in our DNA. 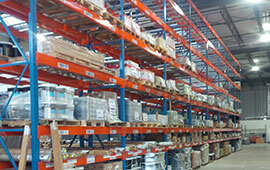 We stock a vast array of products at our storage facilities in Dartmouth and Moncton. With these centralized locations, we can often have an order delivered within the Maritimes the next business day. Over 95% of the products we sell are Canadian made. We sell new and used equipment to meet your budget needs. 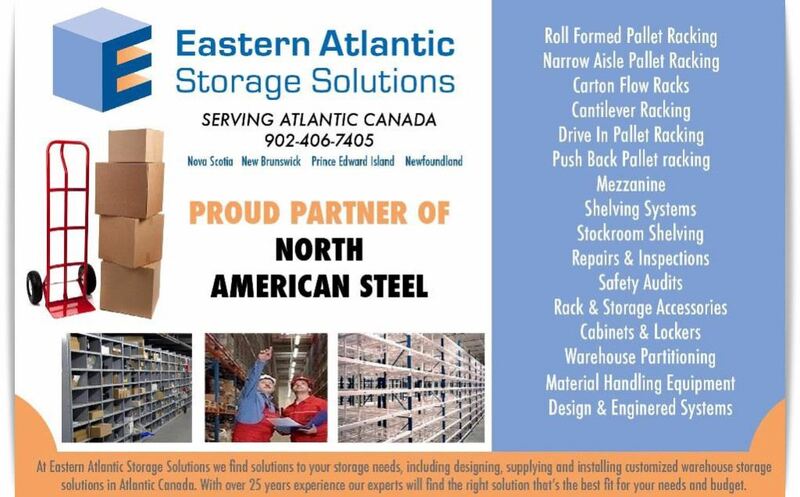 We are a locally-owned leader in providing warehouse storage solutions to Atlantic Canada. We sell high quality equipment from some of the best manufacturers in the industry and provide personalized service to design and install customized solutions for all needs and budgets. We stock a vast array of products at our storage facilities in Dartmouth and Moncton. With these centralized locations we can often have an order delivered within the Maritimes the next business day. We can handle any job you can throw at us - big or small, emergency repair to installing complex, state-of-the-art secure storage facilities. We'll work with you to assess your storage needs and help you select the best. 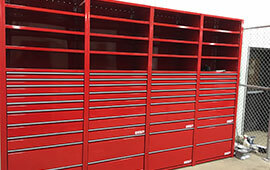 We have a variety of warehouse storage systems and products to help you solve your storage problems. If a new system isn't in the cards for you at this time, we also offer good used equipment. We also have a buy-back program to help. Great Customer Service. If you have a storage or warehouse space issue, you can count 100% on Eastern Atlantic Storage Solutions for a solution. Always goes over and above to achieve 100% satisfaction for the customer. I have known the owner, Neil Winters, for 15 + Years and have always known him to get the job done right - the first time! If you have a warehouse and are in need some assistance, Neil and the other professionals at Eastern Atlantic Storage Solutions are your solution! Opening up a new branch creates various demands like setting up the warehouse and showroom. I have put Eastern Atlantic Storage Solutions to the test with difficult requirements that have tight time frames and special requests and they have succeeded at every one. They were able to meet my requirements on style, size and timelines and I will continue to utilize the experience and customer service provided by Eastern Atlantic Storage Solutions. We are an industry leader in providing warehouse storage solutions in Atlantic Canada - offering a complete range of services. 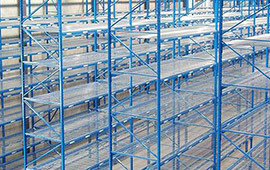 Whether it’s installing a mezzanine, designing a layout, or installing new or used warehouse equipment, no job is too small or too large for our expertise and services. 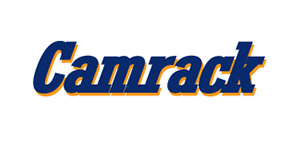 Our stocking warehouse is located in the Burnside Industrial Park in Dartmouth, N.S. If you are looking at a new project or if you are starting to run out of space at your current premises, please contact us and we will be pleased to meet with you and to find the best solution to your needs. With over 25 years of experience in the industry and hundreds of satisfied customers it is no coincidence that our customers keep coming back to us for their storage needs. 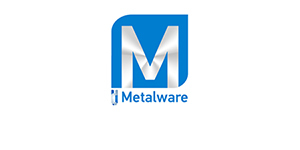 Our Story with North American Steel! 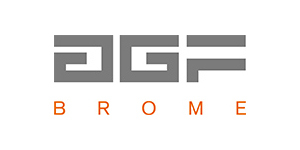 Website powered by Lotta Digital. Copyright © 2016 Eastern Atlantic Storage Solutions. All rights reserved.